Coach's Corner - Crosby, Stills, Nash, & Young band-signed/guaranteed mint electric guitar! 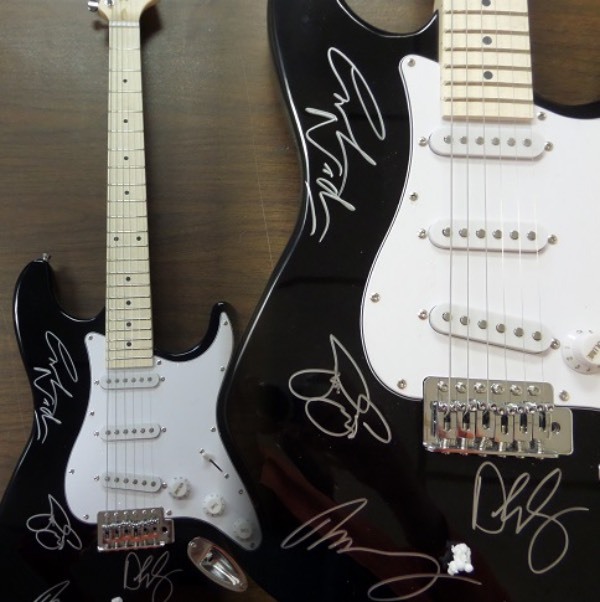 Go Back to Lot List Crosby, Stills, Nash, & Young band-signed/guaranteed mint electric guitar! This mint, black electric guitar comes signed GORGEOUSLY in silver by all 4 of these rock legends!! As nice as it gets and guaranteed authentic. Comes in original box with carry bag, pick ups,etc. and retails into the thousands. NICE!